Edward Reznicek and Mary Fund of Goff and Daniel and Donna Frese of Council Grove are happy to announce the engagement of their children, Evan Paul Reznicek and Emily Anna Frese. Evan is a 2010 graduate of Wetmore High School and a 2014 graduate of The University of Kansas. He completed a master of science degree in mechanical engineering in 2016 at the Colorado School of Mines in Golden, Colo.
Evan is the grandson of the late John and Irma Reznicek of Marion County and the late Walter “Doc” and Alice Fund of Nemaha County. Emily is a 2010 graduate of Council Grove High School and a 2014 graduate of The University of Kansas. She will graduate from The University of Kansas School of Medicine in May with a doctor of medicine degree. Emily is the granddaughter of Connie and the late Donald Essington of Council Grove and the late Emerson and Ina Frese of Alta Vista. 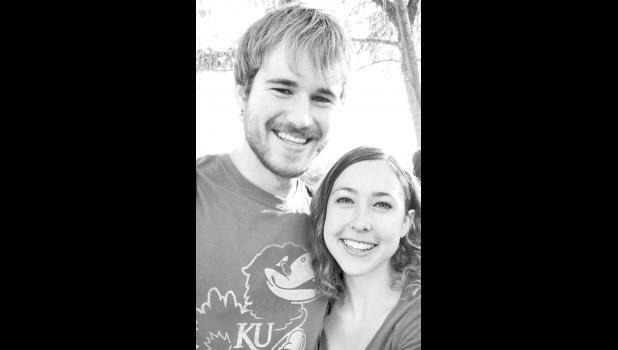 Emily and Evan will marry on May 11, 2018 at Mill Creek Lodge in Wabaunsee County. They will live in Denver, Colo., where Emily will be completing a three-year residency in family medicine, and Evan will be finishing a doctor of philosophy degree in mechanical engineering at the Colorado School of Mines.